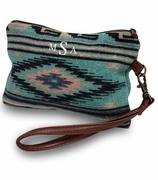 Aztec pattern cosmetic make-up bag with personalization. 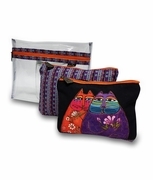 This on-trend South West Santa Fe design with a hint of Aztec culture will delight those ladies with an eye for art. The fun blue and orange colors are uplifted with white accents, sky blue trims complete the look. Keep all your makeup, accessories, brushes and pencils safe and easy-to-access in this pouch. No more searching around in your tote or handbag to find what you need! 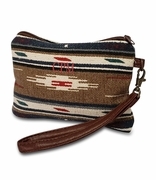 The pouch closes with a zipper along the top and has a fun tassel that dangles off the zipper pull for added style. Makes a great impulse gift when you want to say Thank You to a special friend or family member. Add the duffle bag search item JSD00683 or day tote item BB1-03875. 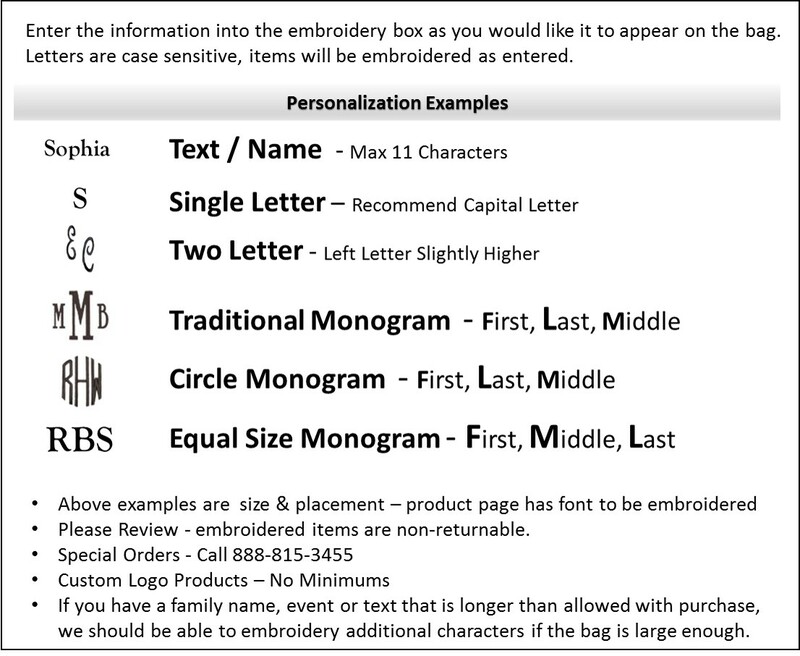 Personalized Aztec cosmetic bag measures 9" x 3" x 2".